US automotive giant, General Motors, has announced the closure of its Oshawa plant in Canada as part of a global restructuring plan for 2019 that could cost up to 3000 employees their jobs – ouch! The plan is based on a shift in strategy towards electric vehicles to stay in line with its zero emissions targets and have a fleet of over 20 types of electric vehicles by 2023 to cater to the growing demand for environmentally friendly vehicles. GM’s share price has lost roughly 12% this year and the company has been slowly cutting jobs to deal with plummeting car sales in North America. Analysts have been pointing fingers at rising interest rates and trade war pressures as the likely culprits to blame for the troubles beating GM down. 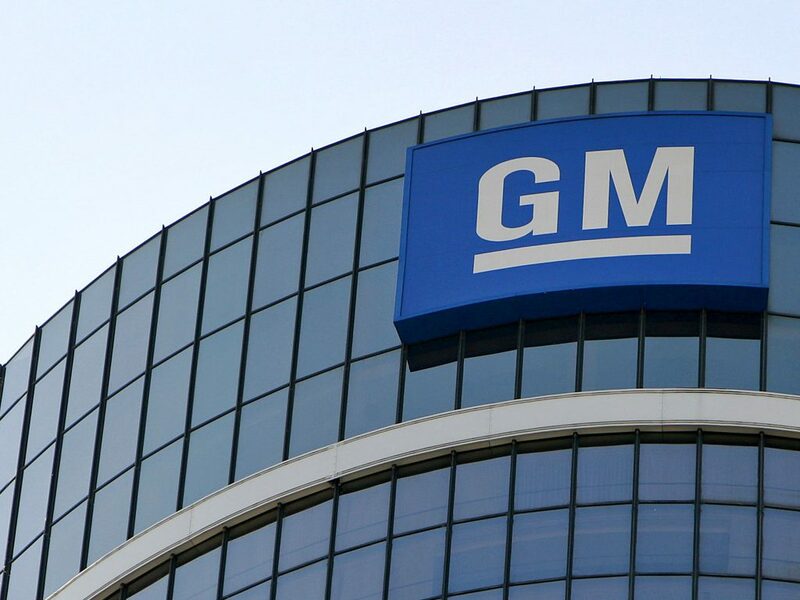 Even though GM posted a $2.5 billion profit in the third quarter, sales volumes were down over 15% and with the prospect of more interest rate hikes and no end to the trade war in sight, the conditions are only likely to get worse. GM had better get this restructuring on the road quickly before they shed more jobs and their share price goes further into the red! Oil has managed to scrape back some of the substantial losses it made on Friday this morning as it clawed back just over 1.2% of its monumental 8% fall, which traders have already named ‘Black Friday’. 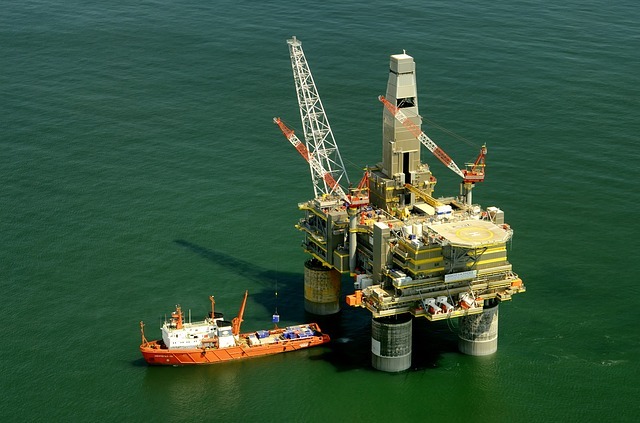 Both Brent Crude oil and West Texas Intermediate have jumped up this morning after another week of furious selling activity, but can they hold onto their gains or will the slide continue? Many analysts are expecting further declines in the price of oil, and data has shown surges in the amount of short positions on WTI oil that would profit from further declines in the price – showing the lack of investor confidence in a potential rebound. The sell-off is still being fueled by concerns of a massive oversupply crisis as the US, Russia and Saudi-Arabia all continue to post record levels of production, and we all know that too much supply will continue to push prices down! Oil prices are also being affected by a wider downturn in the financial markets, especially in Asia, and a strong dollar which has strangled the growth of many countries holding dollar-denominated debt. Analysts at Fitch have said that even a supply cut from OPEC in December may not be enough to save oil from the overwhelming bearish forces brewing in the market. Oil companies may be crying, but consumers are smiling! 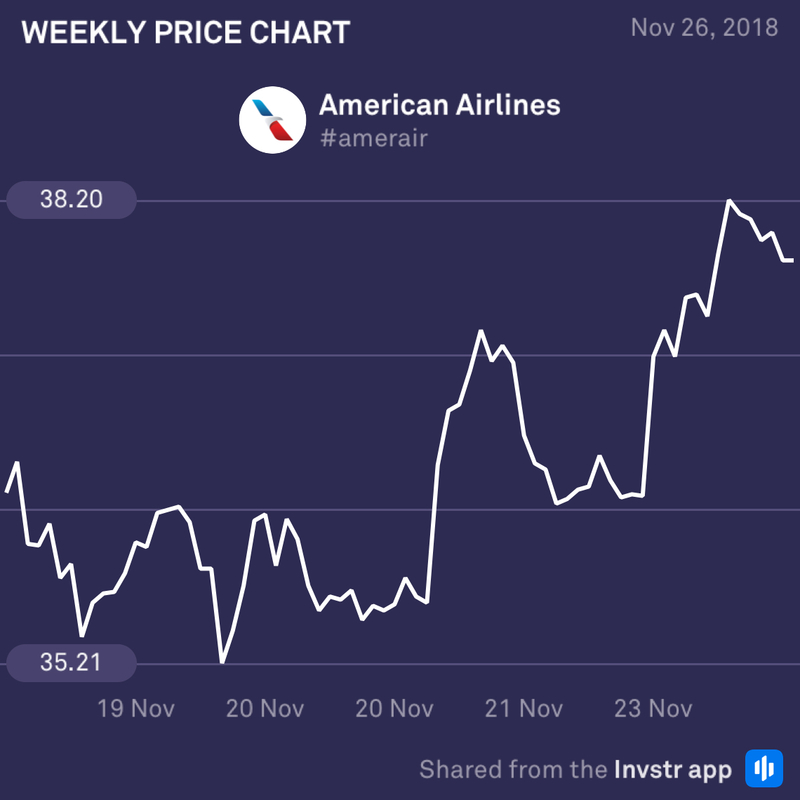 American Airlines was one of the few beneficiaries of Black Friday with a sizable jump in buying activity. The share ended up 4.13% for the week and will likely try to push higher throughout the week if a new high past $38 can be made. Having been sold off quite hard since the start of the year, investors are starting to see value at these lower prices. Chevron closed the week on a negative note after a strong sell-off on Friday left it 3.89% in the red for the week. 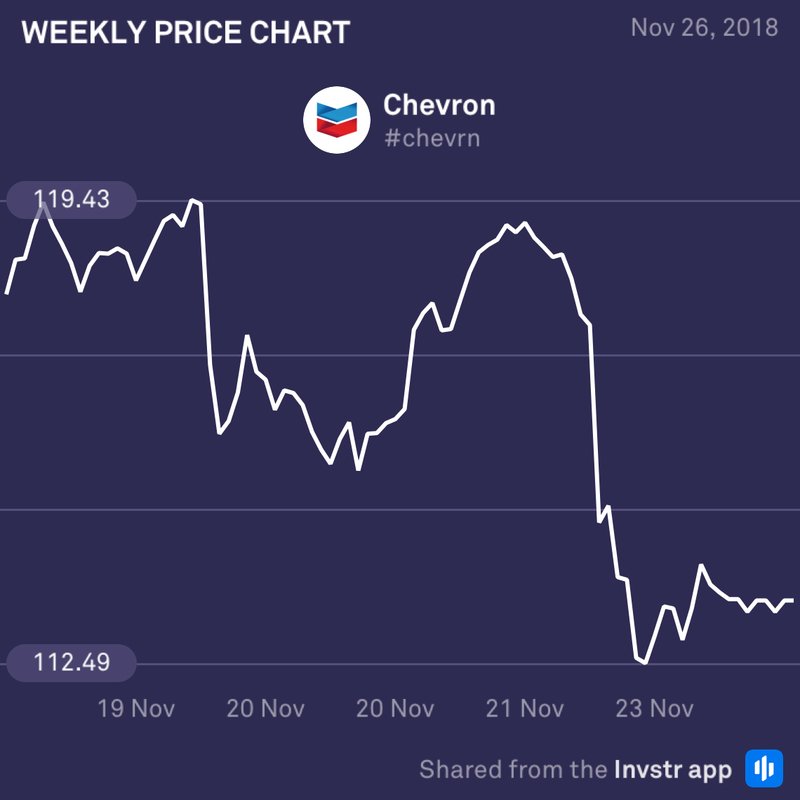 Lower oil prices have put Chevron under pressure of late, and more weakness in the oil price may mean more pain to come for the US energy company. Sellers are certainly climbing into Chevron so keep your eyes peeled!